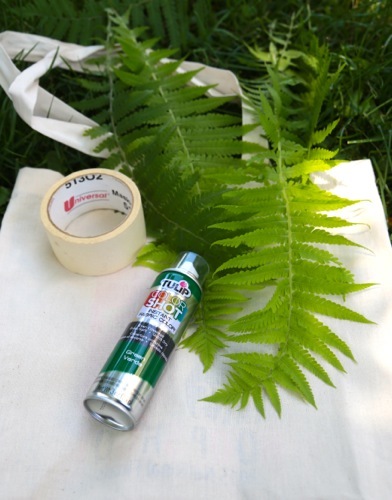 Spray painting over leaf prints is a time-worn tradition of summer crafters everywhere. This year, thanks to Tulip's new Color Shot spray paint, you can wear the results long after the summer has faded. 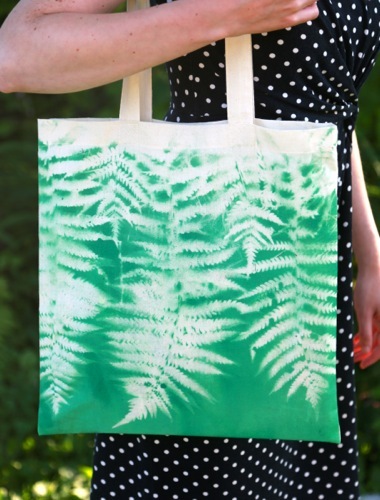 Lay the ferns in a pleasing pattern over the bag. 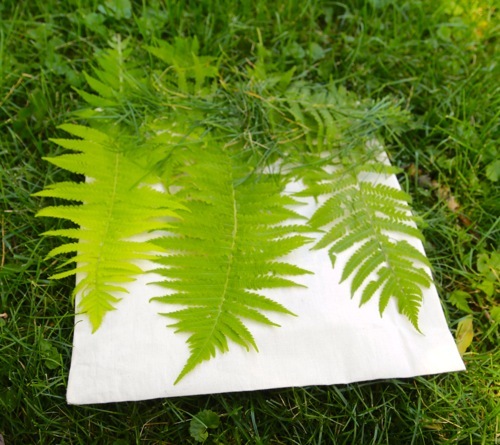 You will want to make sure the greenery lays flat against the bag. If your greenery bends upward in the center, use extra small pieces of masking tape to help as needed. Here, I also sprinkled some grass along the top to keep a gradual blank edge so the design would blend nicely with the handles. 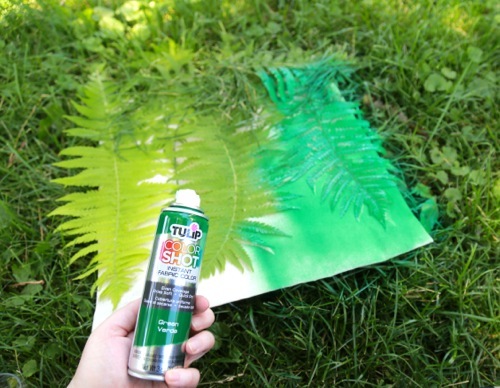 Use your Color Shot to spray directly downward. It's important to avoid side spray as it can blur the final results. After allowing the paint to dry a few minutes, gently pull away the greenery. Allow further drying for a few hours, or overnight if possible. And there you go! 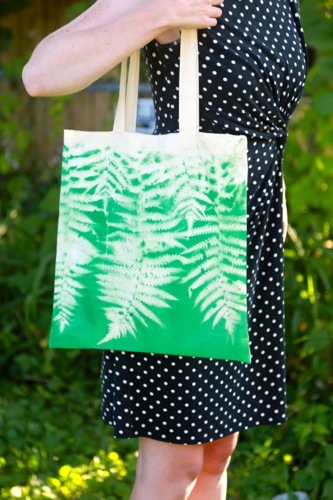 An easy, successful design that you can make, take, or giveaway any day of the week. Have fun! 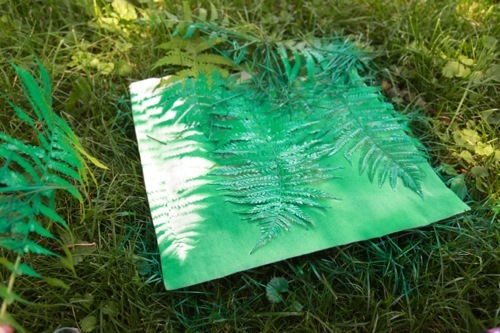 I can also see this project made with maple leaves!